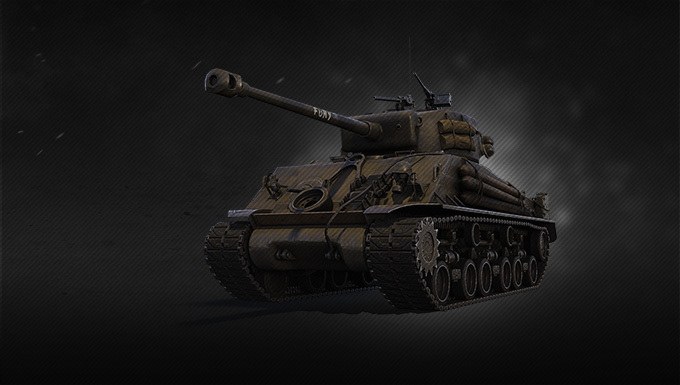 You can find plenty of iconic vehicles in World of Tanks. Only a few of them can brag about being a movie star though: the powerful M4A3E8 Fury, based on the movie of the same name. This Premium American medium tank is one of the famous "Easy-Eight" Shermans, which all arrived late in WWII and stayed in service a few years after that, thanks to their great capabilities. Speaking of which, you should know that this Sherman does excellent damage per minute and is capable of firing effectively on the move. Just like most American tanks, it has a bouncy turret, so look for terrain to take advantage of. Plus, who can say they've never dreamt of having the one and only Wardaddy as their tank commander?